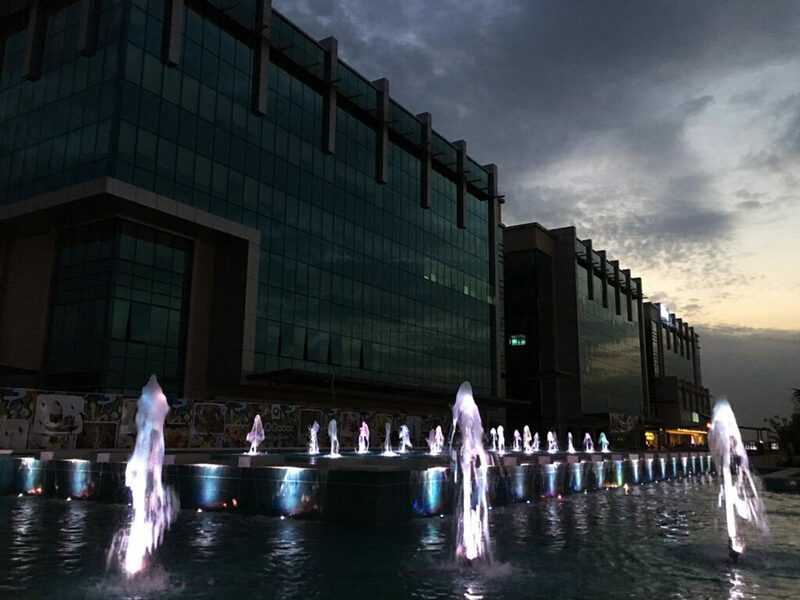 The great moment has finally arrived: the fountains of the Empire World are finally completed. 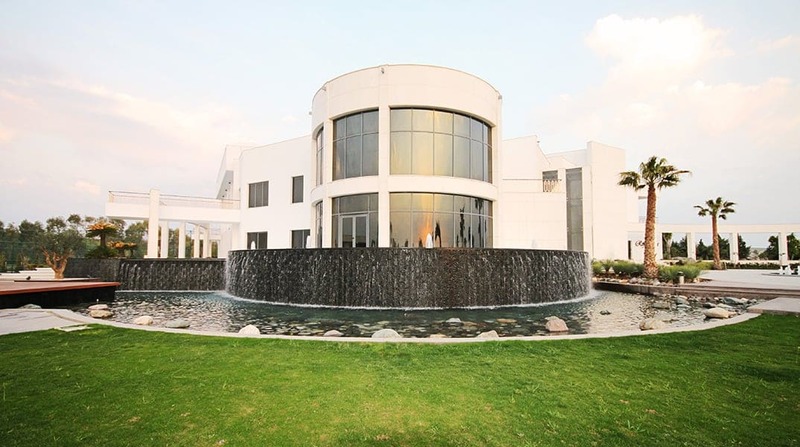 Solar Decathlon Middle East – The competition is approaching! 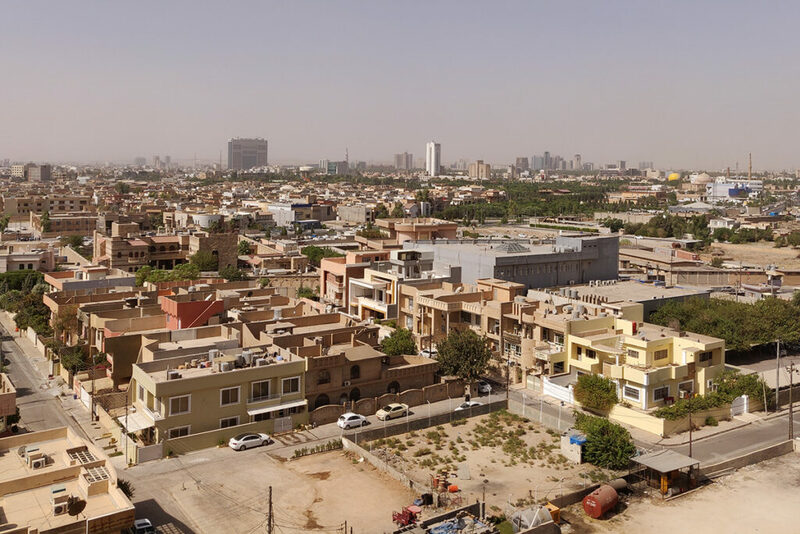 Once again we are again in Erbil, the capital of Iraqi Kurdistan, for the last phases of one of the most important, challenging and at the same time satisfying projects of the last few months. 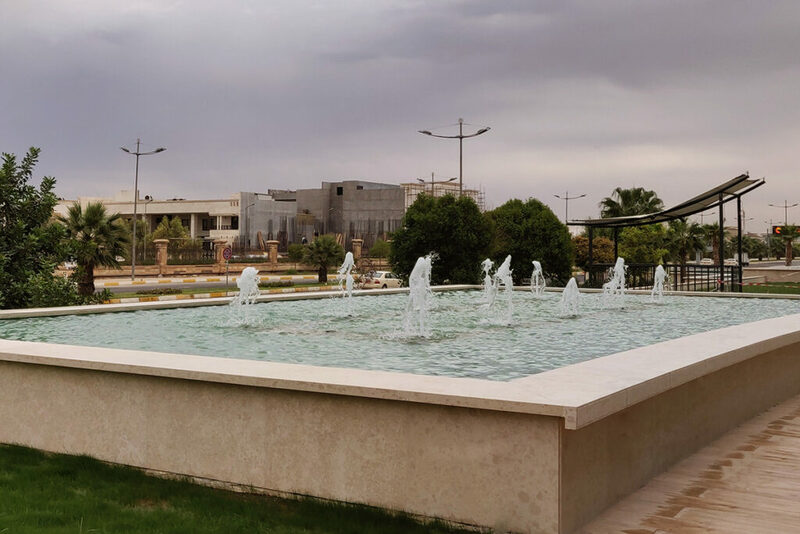 Forme d’Acqua has created 3 fountains on Empire Avenue, the main street of the Empire World, the large multi-function complex currently under construction by the Falcon Group, on the outskirts of the Iraqi city. 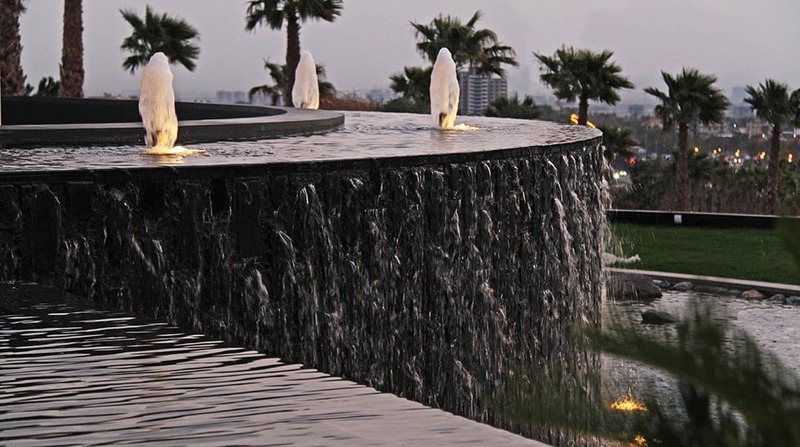 The fountains have a total development of 150 meters and have light effects and water features that make them really exciting, especially during the night. 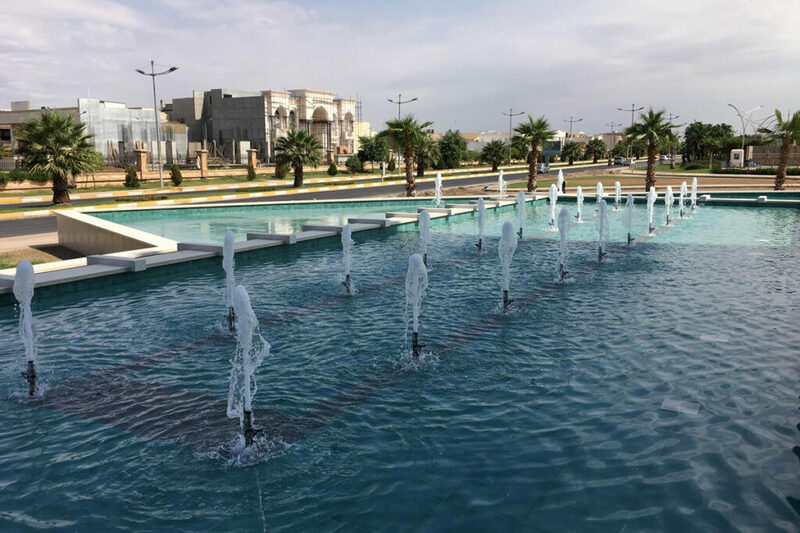 The three fountains are equipped with a total of 18 OASE Acquamax 44000 pumps, which can handle 44,000 liters of water per hour each. 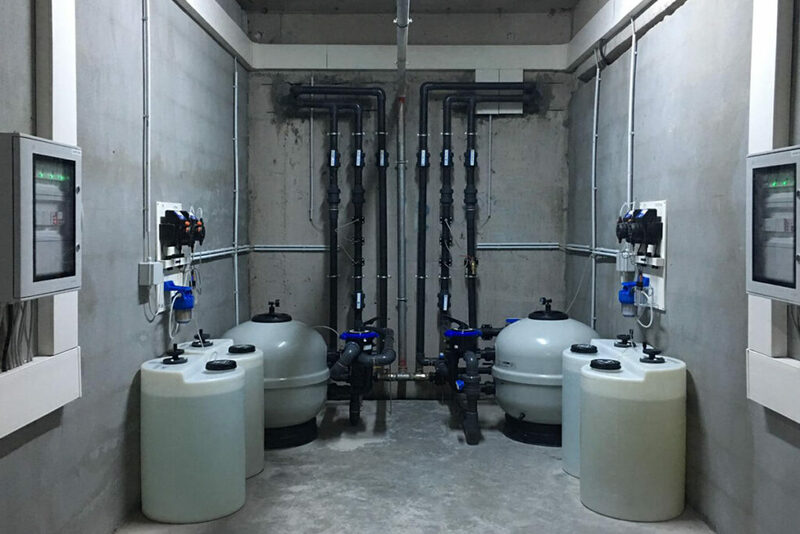 There are a total of 40 water nozzles, plus 3 others that create three tall water columns, three meters high, in the largest tank. 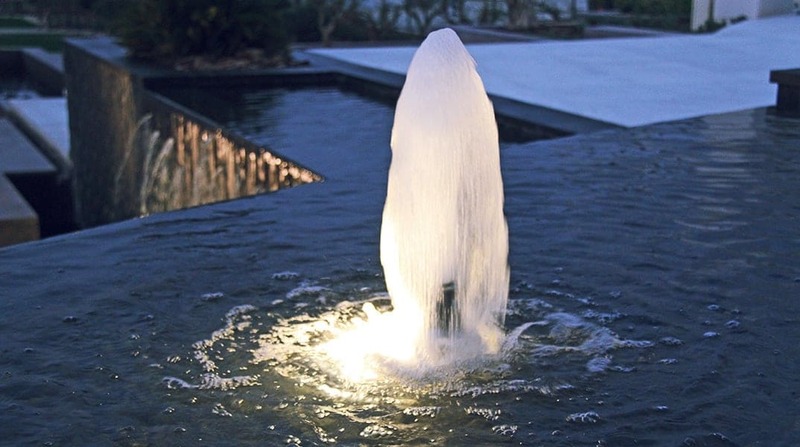 Each nozzle is illuminated by an OASE LED RGB Profilux 350/01 spotlight. 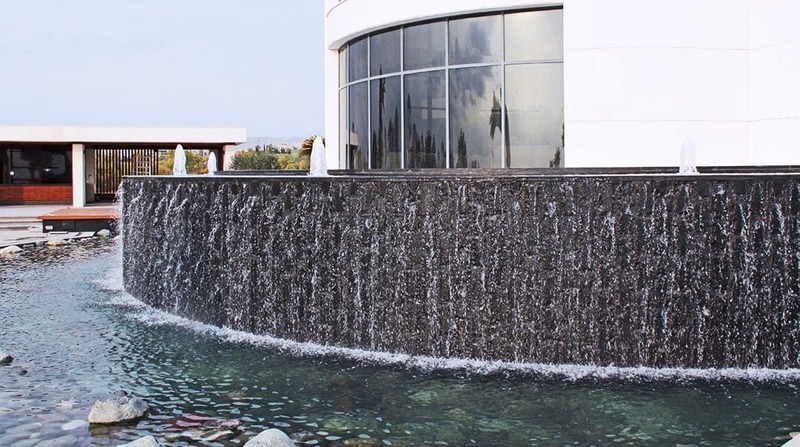 Now that the Istrian stone cladding we sent from Italy last summer has also been laid, the fountains are finally ready for final testing and activation. 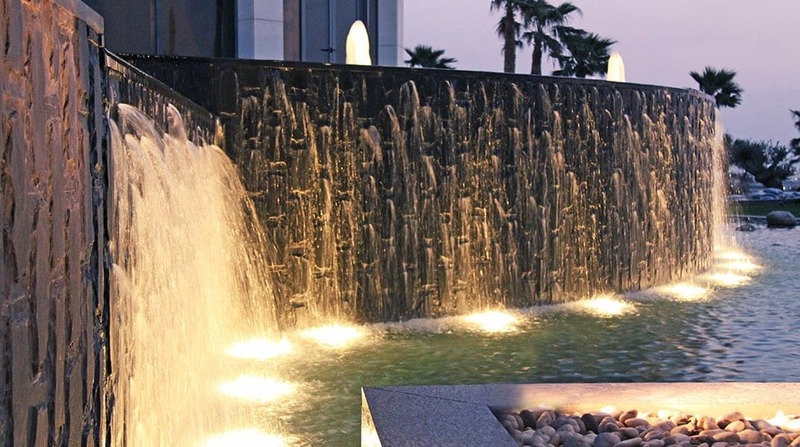 In these days we are going to fix the sensors that automatically manage the correct level of water in the tanks and connect the lights for the waterfall. 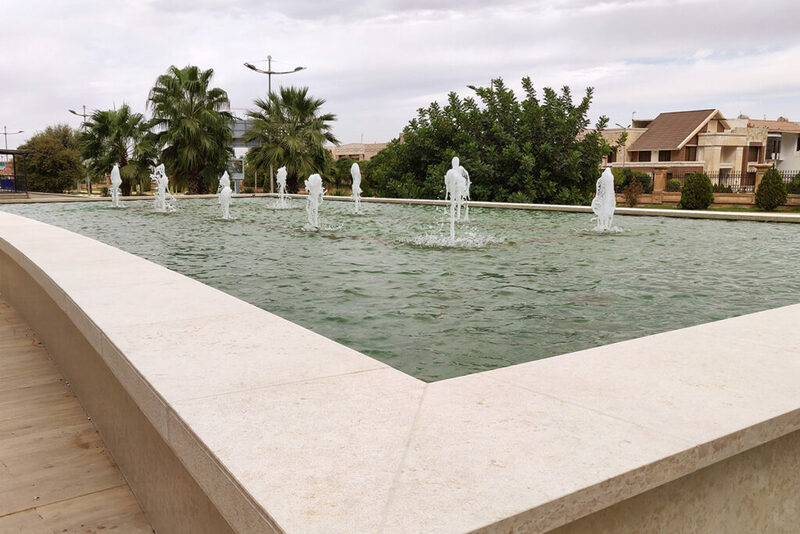 We are going to activate the filtration system, which will keep the fountains working and clean from limescale and algae and the automatic loading, to compensate the natural evaporation of water. 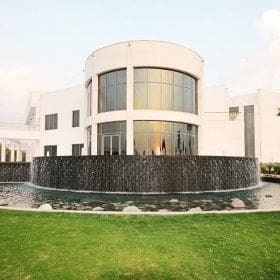 In this last phase everything must be perfect, given that from today we will officially deliver the plant to our client, the Falcon Group which is very keen on this project. 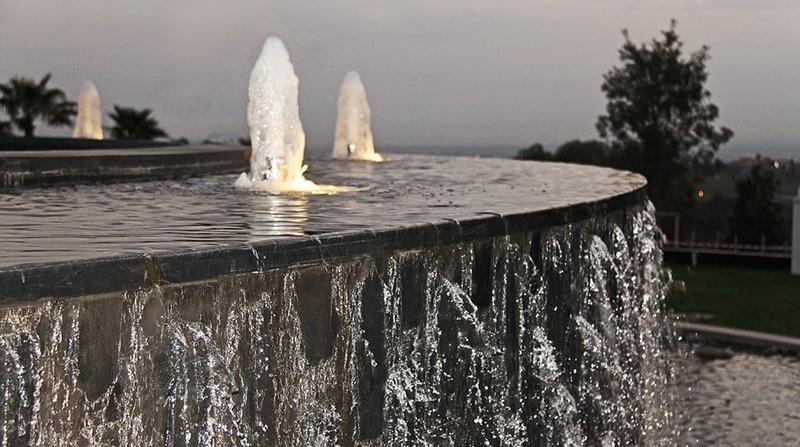 We were also asked to submit a quote to add to the fountains a mistscaping effect: a series of nozzles that spray microscopic drops of water in a fog, which gives the fountains an even more magical appearance and also help to refresh the adjacent space. 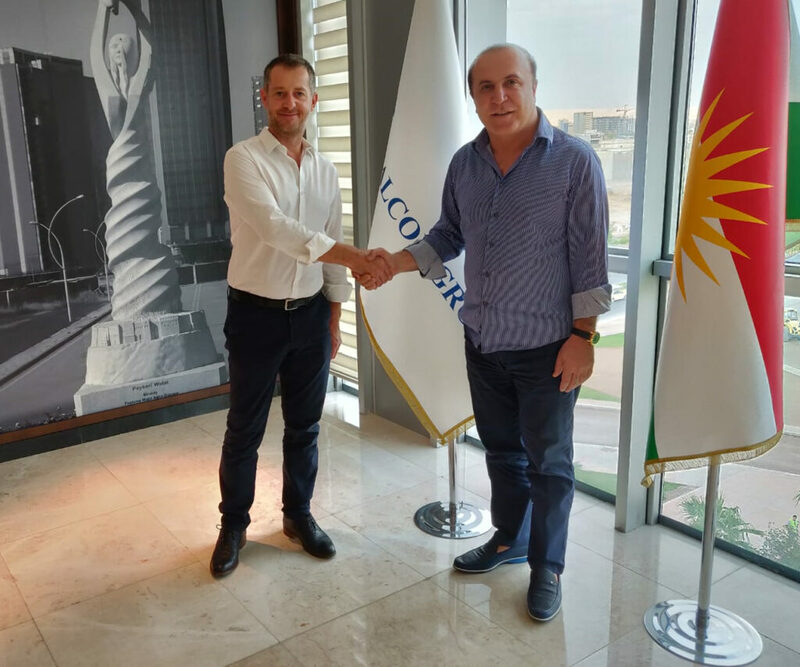 So we will use these days to plan future actions in Kurdistan, in fact Falcon Group anticipated that there may be many other projects in the area. 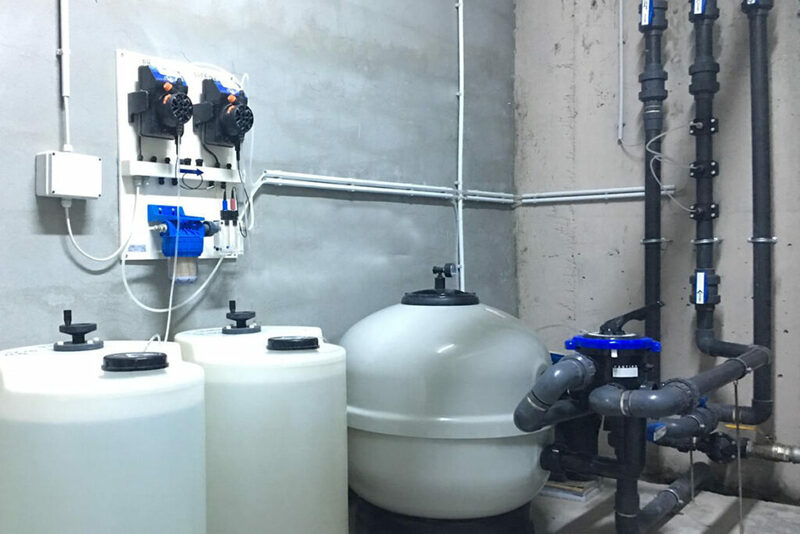 We are very curious to know what they purposes are: clearly Forme d’Acqua’s method, made of competence, professionalism and reliability, was appreciated also in Kurdistan. The Empire World project is been concluded for now, but we are sure that our relationship with Kurdistan is not at all! There are still many important jobs to plan and carry out and Forme d’Acqua is ready to do its part.